Last month, the team at BLVD traveled to Dallas, Texas to participate in the 2016 National Mobility Equipment Dealers Association (NMEDA) Conference. Held at the Kay Convention Center in downtown Dallas, hundreds of attendees including dealers, manufacturers, and more came together to learn about the latest in sales, training, and networking within the industry. One of the biggest highlights for the attendees and members is the Exhibit Hall where new products are displayed. 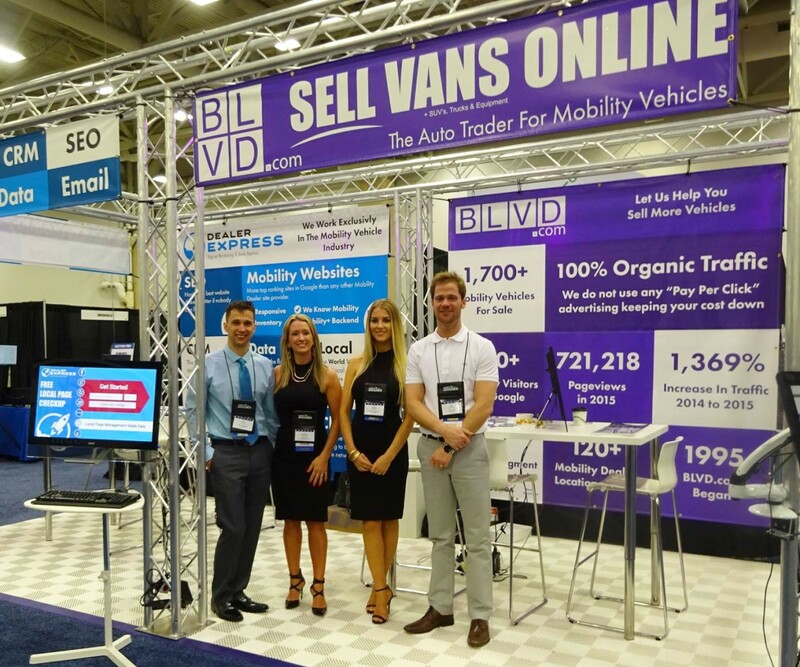 BLVD was excited to showcase all the great resources we offer to help dealers sell more vans and provide more exposure to the general public for the mobility industry. We enjoyed meeting and talking with so many of the mobility dealers at NMEDA and are excited about all the new members who have joined BLVD.com to list their inventory, advertise, and get exposure on the big search engines. We know we will help you sell vans in your local market as well as get you the results online you are looking for. If your dealership has not yet signed up and taken advantage of the thousands of visitors monthly on BLVD.com, all you have to do is call one of our friendly team members at 877-833-2480 or email us at team@blvd.com. In addition to listing your inventory, advertising with BLVD is a great way to showcase any new promotions, products, or deals that you have going on. We are still running our NMEDA promotions but we are selling out fast so contact us today to get the best price and placement! NMEDA was a great opportunity for our team to learn more about what is happening in the mobility industry including the latest in accessible vehicles, products, safety guidelines and more. We are excited to share with our visitors what we learned and most importantly continue to provide you with great resources on BLVD.com. With approximately 1,700 wheelchair vans listed on our site, you will have the most choices in one site to learn more about what is available and contact local dealers in your area. Be sure to check out all the great tools that BLVD has to offer including the Vans for Sale page, Dealer Locator page, Wheelchair Van Classifieds page, and more!